The 34mm JP Flat-Top Scope Mount attaches to any standard Picatinny rail and features an integrated recoil lug for stability. Ideal for AR applications, its intermediate height can accommodate up to a 56mm objective while the mount rings will fit any 34mm scope tube. The mounting straps also come with pre-drilled holes for piggyback mounting of the JPoint Microelectronic reflex sight using the JPA-GUARD protective wings. 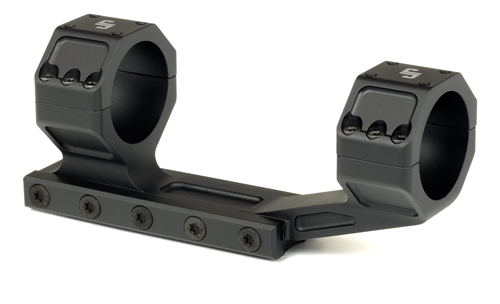 Intermediate height is ideal for AR applications and will accommodate a 56mm objective. Height to centerline: 1.47" over rail.